Draft: 2010, Washington Nationals, 4th rd. Full name ANDREW JORDAN COLE…Wife, Christine ... 2010 graduate of Oviedo (FL) High (20 miles outside of Orlando)...Signed a National Letter of Intent to pitch at the college-level at the University of Miami but signed with the Nationals just prior to the signing deadline (record $2,000,000 signing bonus for a fourth round pick)...Grew up watching Braves pitcher John Smoltz, emulating his throwing motion. He earned a spot on Washington's 2018 Opening Day roster and was purchased by the Yankees on April 23...Possesses a career Minor League ERA of 3.94 in 161 games/155 starts (361ER/825.2IP). Spent most of the 2018 season with the New York Yankees after opening the campaign as the fifth starter for the Washington Nationals...With the Yankees, he posted a 4.26 ERA in 28 relief appearances (38.0IP, 39H, 18ER, 16BB, 49SO), fanning 11.6 batters per 9.0 innings...Washington's fourth round pick in the 2010 First-Year Player Draft and was later acquired by the Oakland Athletics (Dec. 2011) and sent back to the Nationals in exchange for Blake Treinen prior to the 2013 campaign ... He earned a spot on Washington's 2018 Opening Day roster and was purchased by the Yankees on April 23...Possesses a career Minor League ERA of 3.94 in 161 games/155 starts (361ER/825.2IP) ... Allowed just 1-of-11 inherited runners to score with NYY....Hit his first career home run in April 3 loss at Atlanta (solo HR off Julio Teheran)...Was acquired by the Yankees from Washington in exchange for cash considerations on April 23 and added to the Yankees' 25-man roster a day later...Posted a 0.48 ERA (18.2IP, 1ER) with 24K over a 10-outing stretch from April 28-July 11, lowest in MLB among pitchers in that span with at least 10 outings...Appeared just once (June 19) from May 29-July 2 ... Was placed on the 10-day disabled list from June 20-July 2 with a left neck strain (missed 12 team games)…In Aug. 13 loss vs. the Mets, allowed 3ER in 1.1IP (3H, 1BB, 3K, 3HR)…Became the first Yankees reliever to allow at least 3HR in a game since Ross Ohlendorf on 5/27/08 at Baltimore (3HR)...With the Yankees, yielded a 0.96 ERA in 13 road games (2ER/18.2IP) and limited right-handed hitters while with NYY to a .200 (20-for-100) average against...15HR in 48.1 total innings in 2018. Posted a career-best 3.81 ERA across four Major League stints with the Washington Nationals...Began the season with Triple-A Syracuse before being recalled on May 2...Made first MLB start of 2017 on May 6 at PHI (6.0 IP, 6 H, ER, 2 SO)...Capped 2017 strong, posting a 2.42 ERA (6 ER/22.1 IP) in his last four MLB starts...Tossed 3.2 IP of no-hit, shutout relief on Sept. 30 vs. PIT... Matched a career-high with eight strikeouts in his strongest start of the season, Aug. 25 vs. NYM (6.0 IP, 4 H, ER, 4 BB, 8 SO)...Improved his ground ball percentage to 43.3% (up from 31.9% in 2016)...Made four Minor League starts before his May 2 recall, striking out 14 and limiting opponents to two earned runs in two of his four starts...In four Triple-A starts from May 20 to June 8, went 2-1 with a 2.81 ERA (8 ER/25.2 IP)....Allowed two earned runs in four of his final six Minor League starts. Made a career-high 30 total starts (22 with Triple-A Syracuse, 8 with Washington)...Was promoted to Washington on Aug. 22... At the time of his promotion, led the Syracuse pitching staff in wins (8) and complete games (2)...In five Minor-league starts from July 16-Aug. 11, he posted a 2.80 ERA (11 ER/35.1 IP), 8.4 strikeouts per nine innings and a 5.50 strikeout-to-walk ratio (33 SO/6 BB)...Tossed at least 7.0 innings in five straight starts between Syracuse and Washington from July 22 to Aug. 22...Earned his first MLB win, Sept. 2 at NYM (6.0 IP, 3 H, ER, 2 BB, 5 SO)...Recorded a career-high eight strikeouts on two occassionas, Aug. 22 vs. Baltimore and Sept. 8 vs. Philadelphia...Struck out 9.2 batters per nine innings in his first extended Major League action (39 SO/38.1 IP)... Following the season, was rated by Baseball America as the No. 20 prospect in the International League. Opened the season with Triple-A Syracuse before being recalled to Washington on April 28 to make his MLB debut...Made the start that night against the Atlanta Braves at Turner Field as the Nationals rallied to win, 13-12...Was optioned back to Triple-A following the game...Rejoined the Nationals in mid May and made two relief appearances...Converted his first save, May 15 at SDP (3.0 IP, H, SO)...Struck out nine batters and issued just one walk in 9.1 Major League innings...Went 5-6 with a 3.15 ERA in 21 games (19 starts) for Triple-A Syracuse... Improved WHIP (1.18) and hits per nine innings (7.8) as compared to career marks...From June 24 through the end of the Triple-A season, posted a 1.89 ERA (14 ER/66.2 IP) and a .193 average against in 12 games (11 starts). Took next step in development...Went 13-3 with a 3.16 ERA in 25 combined starts between Double-A Harrisburg and Triple-A Syracuse...Made his first Triple-A start on June 28...Ranked among Nationals farmhands in wins (T1st), strikeouts (T3rd, 111) and ERA (4th)...13 wins marked a career high...Earned Double-A Pitcher of the Week honors after striking out eight in a 7.0 inning shutout over New Britain (MIN) on May 17...Was a nonroster invitee to 2014 Spring Training...Did not allow a run in three Grapefruit League contests (6.2 IP, 5 H, 7 K). In successful return to Washington organization, posted career highs with 10 wins (tied for 4th among Nationals farmhands) and 151 strikeouts (3rd) in 142.2 innings spanning 25 combined starts with Harrisburg of the Double-A Eastern League (7 starts) and Potomac of the Single-A Carolina League (18 starts)...was twice named CL Pitcher of the Week (1-0, 0.00 ERA, 1 start, period ending May 6; 1-0, 0.00 ERA, 1 start, period ending June 17)...posted trio of double-digit strikeouts totals (one with Harrisburg, 2 with Potomac), including career-best 11-K effort in the Carolina League on June 8 vs. Frederick. Pitching for Stockton of the Single-A California League and Burlington of the Single-A Midwest League, finished 6-10 with a 3.70 ERA in 27 starts in lone season in the Athletics' chain...posted a 5.4/1 strikeout-to-walk ratio in 19 starts with Burlington...walked one or less in 15 of 19 Midwest League starting assignments...recorded a 1.69 ERA in final 18 starts of the season with Burlington. In first full professional campaign, went 4-7 with a 4.04 ERA in 20 games/18 starts with Hagerstown (began '11 season in Nationals' Extended Spring Training program)...ranked among Single-A South Atlantic League leaders in strikeouts per 9.0 innings (5th, 10.9, min. 75.0 innings pitched) and strikeout-to-walk ratio (8th, 4.5/1)...allowed 2 runs and fanned 8 in 5.0 strong inning to earn first professional win in Hagerstown's 6-5 victory on June 5 vs. Greensboro. Signed just prior to the Aug. 16 signing deadline and pitched in just one game for Vermont of the Short-season Single-A New York-Penn League...on Sept. 2 at Brooklyn, scattered a hit and a walk while working 1.0 scoreless inning of relief...participated in the Nationals' Instructional League. February 11, 2019 Cleveland Indians sent RHP A.J. Cole outright to Columbus Clippers. February 4, 2019 Cleveland Indians designated A.J. Cole for assignment. 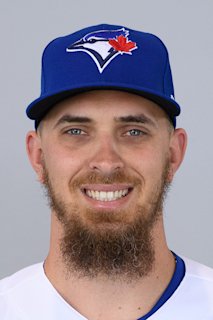 January 11, 2019 Cleveland Indians claimed RHP A.J. Cole off waivers from New York Yankees. January 4, 2019 New York Yankees designated RHP A.J. Cole for assignment. July 3, 2018 New York Yankees activated RHP A.J. Cole from the 10-day disabled list. June 27, 2018 New York Yankees sent RHP A.J. Cole on a rehab assignment to Scranton/Wilkes-Barre RailRiders. June 21, 2018 New York Yankees placed RHP A.J. Cole on the 10-day disabled list retroactive to June 20, 2018. Neck strain. April 24, 2018 Washington Nationals traded RHP A.J. Cole to New York Yankees for cash. April 20, 2018 Washington Nationals designated RHP A.J. Cole for assignment. October 13, 2017 Washington Nationals activated RHP A.J. Cole. October 6, 2017 Washington Nationals reassigned RHP A.J. Cole to the minor leagues. September 4, 2017 Washington Nationals recalled RHP A.J. Cole from Syracuse Chiefs. August 27, 2017 Washington Nationals optioned RHP A.J. Cole to Syracuse Chiefs. August 25, 2017 Washington Nationals recalled A.J. Cole from Syracuse Chiefs. August 15, 2017 Washington Nationals optioned RHP A.J. Cole to Syracuse Chiefs. August 2, 2017 Washington Nationals recalled A.J. Cole from Syracuse Chiefs. June 22, 2017 Washington Nationals optioned RHP A.J. Cole to Syracuse Chiefs. June 18, 2017 Washington Nationals recalled A.J. Cole from Syracuse Chiefs. May 12, 2017 Washington Nationals optioned RHP A.J. Cole to Syracuse Chiefs. May 5, 2017 A.J. Cole roster status changed by Washington Nationals. May 2, 2017 Washington Nationals recalled RHP A.J. Cole from Syracuse Chiefs. March 29, 2017 Washington Nationals optioned RHP A.J. Cole to Syracuse Chiefs. October 14, 2016 A.J. Cole roster status changed by Washington Nationals. October 7, 2016 Washington Nationals reassigned RHP A.J. Cole to the minor leagues. October 3, 2016 Washington Nationals activated RHP A.J. Cole. October 1, 2016 RHP A.J. Cole roster status changed by Washington Nationals. August 22, 2016 Washington Nationals recalled RHP A.J. Cole from Syracuse Chiefs. August 20, 2016 Washington Nationals optioned RHP A.J. Cole to Syracuse Chiefs. August 18, 2016 Washington Nationals recalled A.J. Cole from Syracuse Chiefs. March 11, 2016 Washington Nationals optioned RHP A.J. Cole to Syracuse Chiefs. September 3, 2015 Washington Nationals recalled A.J. Cole from Syracuse Chiefs. July 10, 2015 Syracuse Chiefs activated RHP A.J. Cole from the 7-day disabled list. July 2, 2015 Syracuse Chiefs placed RHP A.J. Cole on the 7-day disabled list retroactive to June 30, 2015. June 6, 2015 Washington Nationals optioned RHP A.J. Cole to Syracuse Chiefs. June 4, 2015 Washington Nationals recalled A.J. Cole from Syracuse Chiefs. May 24, 2015 Washington Nationals optioned RHP A.J. Cole to Syracuse Chiefs. May 15, 2015 Washington Nationals recalled A.J. Cole from Syracuse Chiefs. April 29, 2015 Washington Nationals optioned RHP A.J. Cole to Syracuse Chiefs. April 28, 2015 Washington Nationals recalled A.J. Cole from Syracuse Chiefs. March 18, 2015 Washington Nationals optioned RHP A.J. Cole to Syracuse Chiefs. November 20, 2014 Washington Nationals selected the contract of A.J. Cole from GCL Nationals. August 31, 2014 RHP A.J. Cole assigned to GCL Nationals from Syracuse Chiefs. June 27, 2014 RHP A.J. Cole assigned to Syracuse Chiefs from Harrisburg Senators. January 24, 2014 Washington Nationals invited non-roster RHP A.J. Cole to spring training. July 23, 2013 RHP A.J. Cole assigned to Harrisburg Senators from Potomac Nationals. July 17, 2013 A.J. Cole roster status changed by Potomac Nationals. July 13, 2013 Potomac Nationals placed RHP A.J. Cole on the temporarily inactive list. March 30, 2013 RHP A.J. Cole assigned to Potomac Nationals from Hagerstown Suns. January 18, 2013 A.J. Cole assigned to Hagerstown Suns. January 16, 2013 Washington Nationals Traded LF Michael Morse to Seattle Mariners; Seattle Mariners Traded C John Jaso to Oakland Athletics and Oakland Athletics Traded RHP A.J. Cole and RHP Blake Treinen to Washington Nationals. January 16, 2013 RHP A.J. Cole roster status changed by Beloit Snappers. May 23, 2012 RHP A.J. Cole assigned to Burlington Bees from Stockton Ports. April 2, 2012 A.J. Cole assigned to Stockton Ports. March 3, 2012 RHP A.J. Cole assigned to Oakland Athletics. May 7, 2011 A.J. Cole assigned to Hagerstown Suns from Auburn Doubledays. August 29, 2010 RHP A.J. Cole assigned to Vermont Lake Monsters from Washington Nationals. August 16, 2010 Washington Nationals signed RHP A.J. Cole.